This spell was developed to improve the accuracy of estimates. The spell provides the caster with an instant and highly accurate estimate of the number of persons or objects in a group. The spell’s area of effect is one group of a general class of objects. All objects of the group must be within spell range and the group as a whole must be visible to the caster. The caster need not see every individual in the group, merely the general limits of the group’s size and area. For example, a caster on a hill could look down on a forest and estimate the number of trees in all or part of it. He could not get an estimate of the number of goblins within the forest, however, since the group as a whole (the goblins) is concealed from sight. The estimate generated is accurate to the largest factor of ten (rounded up). For example, if guesstimation were cast on a group of 439 horsemen, the estimate would be 400. If there were 2,670 horsemen, the spell would estimate 3,000. If there were 37 horsemen, the answer would be 40. Clearly, using the spell on small groups (especially those with fewer than 10 members) is pointless. Guesstimation can be used to quickly estimate the size of treasure hoards and army units. It is particularly popular with moneylenders and generals. Patternweave allows the caster to make sense of apparent chaos. The caster can see such things as pottery shards reformed into a whole pot, shreds of paper formed into a page, scattered parts as a working machine, or specific trails appearing out of overlapping footprints. After casting the spell, the caster studies seemingly random elements- broken bits of glass, shreds of paper, intermingled trails, etc. The items to be studied must be tangible- coded flashing lights, garbled speech, or thoughts of any kind cannot be studied. The caster must study the random elements for one round, after which he gains a +10 bonus to the relevant skill check needed to decipher the pattern. This bonus increases to +20 at 5th level, and +30 at 9th. If the items studied are truly random, no information is gained. After the caster has visualized the pattern, he can attempt to reassemble the parts into their original form. He receives a bonus to the relevant craft check equal to half the bonus he received to decipher the pattern. The amount of time required and the quality of restoration vary according to the complexity of the pattern. Reassembling a shredded map may be easy; reassembling a broken clock is significantly more difficult; rebuilding a shattered mosaic is extremely difficult. In any case, the caster can make only a reasonable copy of the item. He can use this spell to restore works of art, but they will be worth only a small percentage of their original value. The material component is a small hand lens through which the caster studies the objects. The lens is not consumed in the casting. This spell is the wild mage’s ultimate last-resort spell. 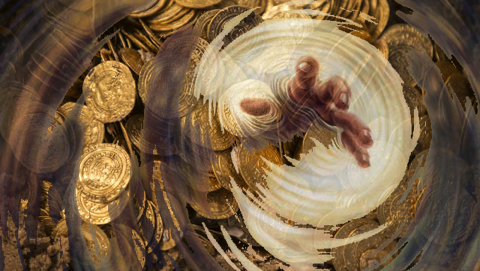 When cast, the caster releases a sudden flood of wild magical energy in the hope of seizing and shaping that energy into a desired spell effect. The attempt usually fails, but something almost always occurs in the process. Before casting the spell, the caster announces the spell effect he is trying to create. The spell must be a spell known by the caster, but need not have prepared it. After announcing the spell (along with the target and any other conditions required by the spell), he casts reckless dweomer. A burst of magical energy is released, which the caster tries to manipulate into the desired form. Because the release of energy is planned by the caster, his level is added to the dice roll. On a roll of 99 or higher, the caster has shaped the magical energy into the desired effect. Otherwise, consult the results of an appropriate Wild Surge or Primal Magic Event (Inner Sea Magic) table. More often than not, the effect is completely unexpected. The result may be beneficial to the caster or it may be completely disastrous; this is the risk he takes in casting reckless dweomer.